Go take a hike! I am eating a fish sandwich because it's THE ONLY THING I CAN EAT in this town. I'd really rather NOT have McDonald's which is nothing more than fish flavored cardboard. And how dare you slam and make fun of someone with a severe food allergy, BECAUSE OF THAT ALLERGY! Last edited by Innuendoes on Sat Mar 31, 2018 2:45 am, edited 1 time in total. Gun control activists and Parkland student, David Hogg, has captured headlines across the country for his calls to boycott Laura Ingraham’s show. Hogg is being backed by the Soros-funded Media Matters in his effort to take out Ingraham’s advertisers. The Media Matters president made it very clear the purpose was less about Hogg and more about taking down Fox, as they have tried to do with advertisers in the past. Hogg has refused to accept Ingraham’s apology, saying he wouldn’t accept it until she denounces Fox. Hogg has demanded he be treated like an adult, yet when criticized hides behind being a child. He wants to have it both ways. 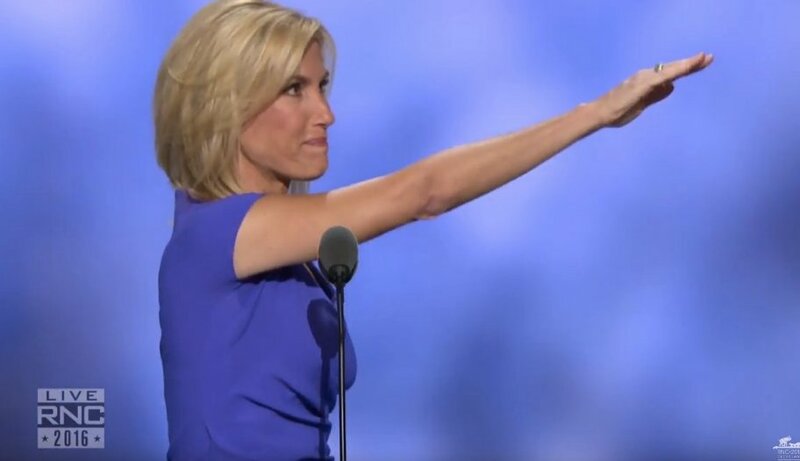 The boycott is having an effect with multiple advertisers pulling out from Ingraham’s show including Nutrish, Wayfair, Trip Adviser, Expedia, Nestle, Liberty Mutual, Johnson & Johnson and Hulu, despite Ingraham apologizing and despite Hogg’s vile attacks. He next went after Arbys, who is another advertiser. Most adults know that you shouldn’t publish private information, yet Hogg simply disregarded that basic convention. And then comes a bigger question, who provided him with the emails? And so now the way to get things done is to flood the private emails of executives? I think I will have to sit down and have myself a big cry for all of those sweet, innocent, loving “Christians” at Fox who are so misunderstood!! This is what one of our posters thinks of a 17 year boy whose friends were recently murdered at his school and who wants to make sure this kind of thing doesn't happen again. Innuendoes wrote: And how dare you slam and make fun of someone with a severe food allergy, BECAUSE OF THAT ALLERGY! You just called a boy who recently survived a mass shooting a dirty little brat. You're upset because of a perceived slight about an allergy, but think it's okay to call a 17 year old who recently survived a mass shooting and witnessed some of his friends being murdered a dirty little brat. You're little insults, both of you, won't back me down. Innuendoes wrote: You're little insults, both of you, won't back me down. Watching the amazing 39th President 93 year-old Jimmy Carter on the Colbert Show! Don’t mess with those kids, Laura!